A survey of young people in the UK has found 62 percent of LGBT youth have experienced suicidal thoughts as a result of bullying. The Annual Bullying Survey, carried out by the charity Ditch the Label, found 43 percent of people within the LGBT community questioned have been bullied in the last 12 months. More than 9,000 people aged between 12 and 20 were surveyed. Of those within the LGBT community, nearly a third – 31 percent – had attempted suicide because of their experiences and half of the respondents said they had self-harmed. A further 31 percent said they had developed an eating disorder and 70 per cent said they had developed social anxiety. A further 71 percent of LGBT youth polled said it had led to depression. “Unfortunately, bullying remains a real issue in the UK with anyone identifying as LGBT+ among the worst affected,” said Liam Hackett, CEO of Ditch the Label. “LGBT+ young people are further affected by the impact of heteronormativity within wider society. “Of those that were bullied, 20 percent of heterosexual identifying young people were bullied on the basis of being gay or lesbian, clearly indicating the negative connotations still attached to being LGBT+. 43 percent of people within the LGBT community surveyed have been bullied in the last 12 months. More than half of those who took part in the survey (57 percent) said they believed they were picked on because of their appearance. One in 10 said they were bullied for a disability they have. Amongst all young people who are bullied, one in 10 said it happened daily and half said it happened at least once a month. The charity also questioned those who witnessed bullying, with one third admitted they rarely – or never – tried to stop what they were watching. The organisation is calling on young people to report bullying safely and anonymously. 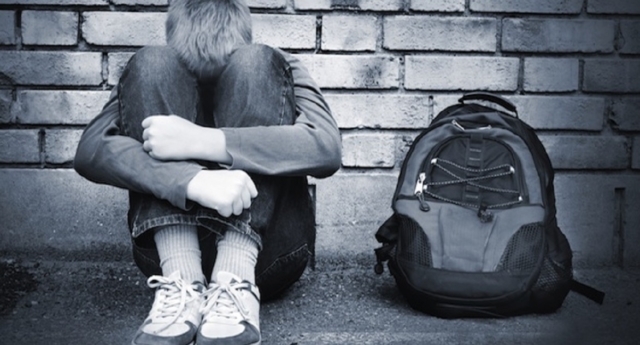 Anne Longfield, the Children’s Commissioner for England, said: “More needs to be done at home and in schools to help those who are the victims of bullying and also, crucially, to prevent children from bullying in the first place.